What’s up with the change in policy? It’s a sign of the times. We’ve started consolidating where we spend our time on the internet, paid ads have matured in recent years, and there is more noise to cut through in order to reach to your audience. It probably wouldn’t be the first time that you’ve heard we live in an era of information overload. Most companies, both new and old, have embraced inbound marketing strategies, such as blogs, social media, and email marketing. This shouldn’t come as a surprise – as you’ve heard us say over and over again, content is king. But with so much content competing for our attention, we’ve been in a state of overload for a while now. Whether it’s articles, videos, photos, memes or GIFs, wherever we turn there’s an overabundance of stuff. It’s no wonder that we spend over eleven hours a day consuming content online. However, there is a method to the madness, and companies are doing this for a reason. Content marketing costs 62% less than traditional marketing, yet generates three times the amount of leads. With such a big return on investment, it’s clear why companies are growing their marketing staff to include content writers and strategists. In fact, 42.5 percent of companies said they increased their content marketing staff levels in 2016. Plus, content has added benefits beyond boosting your SEO. Content marketing helps you establish trust, authority, and thought leadership in your field. It provides value to customers and prospects, and when done right, can guide people along the buyer journey. However, that doesn’t necessarily mean that your startup is being read about. The one downside with content marketing is the sheer volume of it. How do you make sure your blog post gets seen by the right people? However, the formula isn’t as simple anymore. Today, organic reach for businesses on social media is reported to be as low as 2 percent. This is largely due to what we previously said — with the sheer amount of content being shared and produced by our peers, the groups we’re in, and the outlets and companies we follow, it’s hard to see what we want to see. Paid ads can help cut through some of this noise, but you have to do it right. If you were to go the organic route, you would only be putting your content in front of people who expressed interest in what your company does, presumably by liking or following your page. Switching to paid advertising, you have to go by those same principles: only put quality content in front of the people you know are interested in what you do. Using tactics from classic inbound marketing strategies, you would apply the same to paid ads. In other words, you would use the advertisements to cross-sell products to current customers based on what you know about them, reach new prospects, and connect with existing leads. In this sense, you aren’t reaching random people with bad ads, as it used to be in the early days of paid advertising. Instead, you’re giving people exactly what they want. The formula above is the key to success in paid online advertising. To begin, let’s address the first half of the equation: Quality Content. Content should always be produced with your audience in mind. You should be providing valuable information, backed up by credible sources, to establish thought leadership in your field and build trust among readers. Content marketing can only be used as the building blocks of a good PR and marketing strategy if it is sturdy and useful; content should not be used to pitch a sale but rather provide a resource to those interested in your product or field. The big three (Amazon, Google, and Facebook) feel the same way about ads, to the point where they make it so companies end up paying more for ads that are not relevant or are just trying to get in front of anyone for the sake of views. We’re going to be placing bids on words unrelated to what we actually do, coming up low (if we even come up at all) on a search for dog apps. People probably won’t see us and if they do, they probably won’t click on us because we’re irrelevant, and it comes across as annoying. If by chance people do click on our page, they’re going to see that we’re NOT a dog app and leave, increasing the website bounce rate. Not only will we end up paying for those clicks, but we would walk away from the ad campaign without any meaningful leads or new customers. These developments are for everyone’s benefit. Over time, we’ve come to consolidate where we spend our time on the internet to the Big Three. They want to have their customers (advertisers) develop useful ads so that users keep coming to them to search, connect, and shop. If Google served us an ad about cat toys when we search for proptech, we would presumably get sick of seeing it and potentially switch to another search platform, like Bing or Yahoo, who won’t bug us with irrelevant ads. According to a recent survey, eMarketer found that the number one reason people decided to use an ad blocker is that ads are “too annoying or irrelevant” (51 percent). If people feel this way, it works against the Big Three. If people are turning off ads, that means advertisers aren’t getting the views or clicks that they want. Like with content marketing, if you provide people with irrelevant, annoying ads, they aren’t going to give you the time of day. Therefore, it’s for everyone’s benefit that ads are relevant and are backed by or lead to quality content. This brings us to the second half of the equation: targeted audiences. As we briefly mentioned above, the key to a good, cost-effective paid media strategy is going to the people who would be interested in your product. When you begin to use paid advertising, you should develop a buyer persona to help you understand who to target. Buyer personas are “made up characters” that represent your ideal customer. When you create a buyer persona, think about demographics, behavior patterns, motivation, and goals. By developing this, your startup can determine the best way to spend your time, develop your product, and how and where to spend advertising dollars. All of the major players in the digital ad space give you tools to select demographics to match your buyer persona, allowing you to choose audiences by age, location, gender, and interests. Keyword searches are also incredibly important, especially for sites like Google and Amazon. While we won’t get into the nitty-gritty, you should use high quality and relevant keywords to help you reach exactly you who want, when you want. Remember, you only want to get in front of the people who want to see your content so you can convert those advertising dollars into quality prospects. Amazon especially has taken advantage of highly targeted ads to reach consumers, making companies’ advertising dollars go a lot further. With Amazon’s customer data, the company can use purchase history and track searches to let advertisers know who searches for what and at what time of year they do it. While Amazon isn’t the best place for many startups, it can be used as an example of how seamless digital advertising should be. In fact, Teikametrics 2018: Amazon Advertising & Holiday Shopping Index shows that when asked which advertising platform showed the most ads, Amazon placed third with 12 percent after Google with 27 percent. This is largely due to the ads listed on both Google and Amazon being so targeted and relevant to what people search that it doesn’t feel disruptive or intrusive. Because the ad essentially blends in with the search, people don’t identify them as ads in the same way as the ads that follow you around on Facebook. When you use paid ads as a way to complement your non-paid marketing efforts, you can create a campaign that helps people sift through the vast amount of information on the internet and find your startup. By building a solid foundation of quality content on your website and knowing who and when to target, you can get your valuable information to potential customers and investors. It’s important to remember that you have to keep your customers (both current and future) at the forefront of your paid advertising campaign. Offering your audience relevant information rather than trying to sell them something makes you helpful rather than be a hindrance. Reaching the right people at the right time will result in a more cost-effective campaign with more meaningful leads. 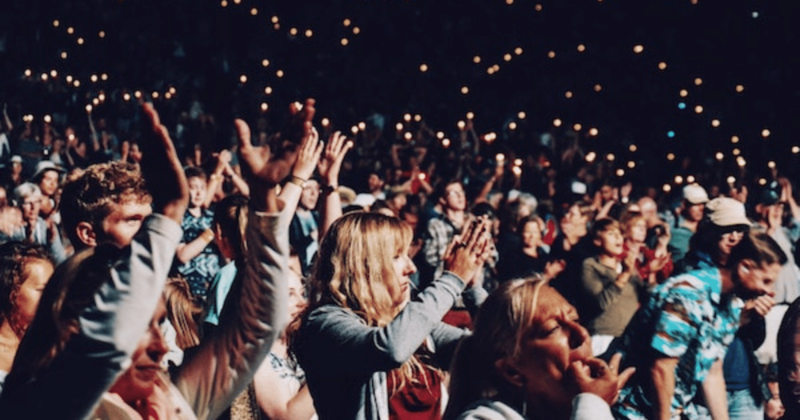 By using an audience first approach, you’re guaranteeing increased visibility for your startup, and the start of a beautiful friendship between you and your new leads.